Limited Stock. 100 Cards Per Order. Buy Now While Supplies Last! 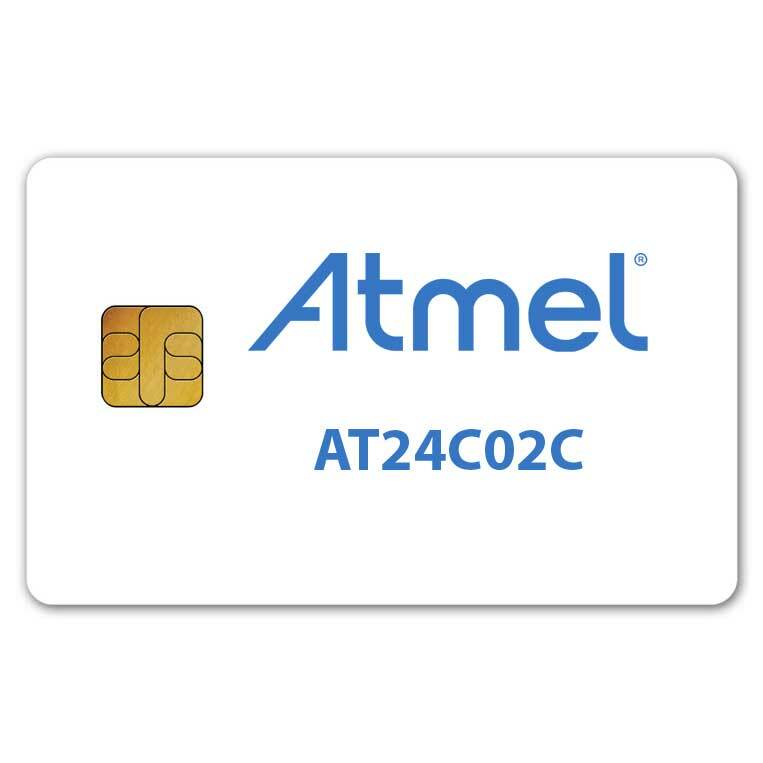 The Atmel AT24C02C smart card is a 2Kb Serial EEPROM utilizing an I²C (2-wire) serial interface. 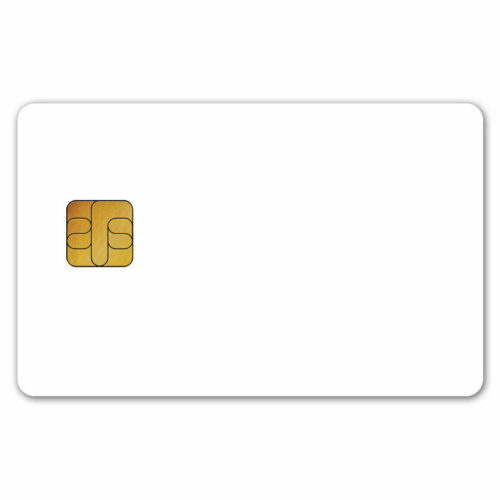 This smart card is organized as one block of 256 x 8 for low power applications such as small record storage and loyalty applications where low cost is a driving factor and where reliable and dependable nonvolatile memory storage is essential. Program the Atmel AT24C02C Memory Card with CardLogix’ Smart Toolz™ development kit featuring the user-friendly Card Configuration Utility (CCU), Winplex™ API, and CardAppz™ application software. The AT24C02C is available in PVC, ABS, PET, Composite, and Polycarbonate ISO 7810, CR-80, SAM/SIM card, and Keychain form factors. Unique combination of capabilities that cannot be found in any other memory solution. These features include byte-write alterability, nonvolatile data storage, 1 million cycles of write endurance, very low power supply voltage operation, 100 year data retention, low pin-count packages, low cost of ownership, and extremely low active and standby currents. I 2C-compatible — (2-wire) Simple interface, yet the most popular choice for various microcontroller, microprocessor, and system-on-a-chip (SoC) solutions. I2 C devices support cascading of up to eight Serial EEPROMs on the same bus and offer varying types of write protection. Write Protection — The AT24C02C utilizes a hardware data protection scheme that allows the user to write protect the entire memory contents when the WP pin is at VCC (or a valid VIH). No write protection will be set if the WP pin is at GND or left floating.